The Leo Baeck Institute London is devoted to the study of German-Jewish history and culture. The LBI is an independent charity and aims to preserve and research this history by organizing innovative research projects, Fellowship programmes, and public events. Through the lens of German-Jewish history, the Institute seeks to address some of the most topical and timely questions of our times. We are very pleased to announce that Jewish Difference and the Arts in Vienna. Composing Compassion in Music and Biblical Theater by Caroline A. Kita has been published recently as part of our German Jewish Cultures book series. During the mid-19th century, the works of Arthur Schopenhauer and Richard Wagner sparked an impulse toward German cultural renewal and social change that drew on religious myth, metaphysics, and spiritualism. The only problem was that their works were deeply antisemitic and entangled with claims that Jews were incapable of creating compassionate art. By looking at the works of Jewish composers and writers who contributed to a lively and robust biblical theatre in fin de siècle Vienna, Caroline A. Kita shows how they reimagined myths of the Old Testament to offer new aesthetic and ethical views of compassion. These Jewish artists, including Gustav Mahler, Siegfried Lipiner, Richard Beer-Hofmann, Stefan Zweig, and Arnold Schoenberg, reimagined biblical stories through the lens of the modern Jewish subject to plead for justice and compassion toward the Jewish community. By tracing responses to antisemitic discourses of compassion, Kita reflects on the explicitly and increasingly troubled political and social dynamics at the end of the Habsburg Empire. For further information or to buy this book, please refer to Indiana University Press by clicking on the link below. 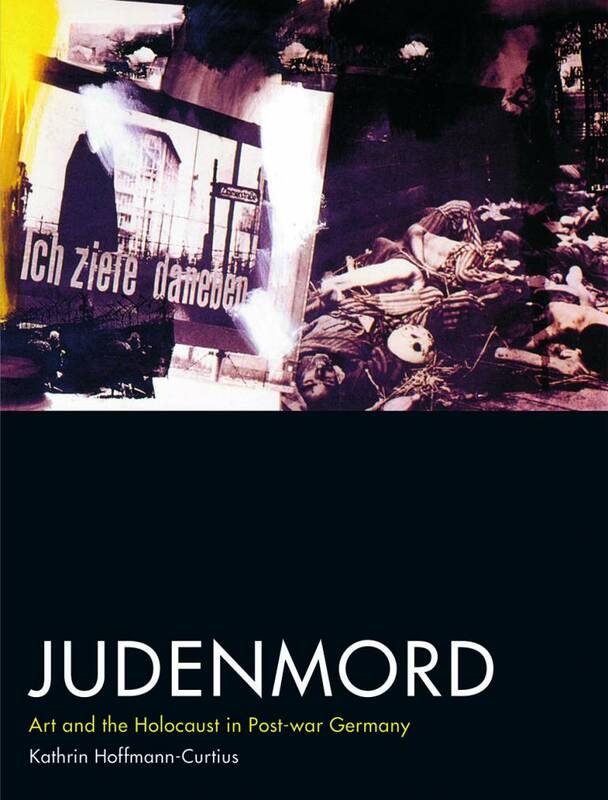 We are delighted to welcome Kathrin Hoffmann-Curtius to present her book Judenmord. Art and the Holocaust in Post-war Germany. First published in German in 2014, this is the first comprehensive study of representations of the Holocaust in Post-war German art. The book presents an innovative and multi-layered perspective on Post-war Holocaust memory by taking into account works by both supporters and opponents of Nazism, and by artists working in both East and West Germany. While discussing how artists worked through their own experiences of the Holocaust, the book also analyses how their works contributed to the culture of memory in both countries. What images of the Jews did artists present to the Germans after the end of the brutal Nazi regime? Respondents: Professor Mary Fulbrook (UCL) and Dr Hans C. Hoenes (Leo Baeck Institute London / UCL Dept. of History of Art). The event is organized jointly by the Leo Baeck Institute London and the Institute of Advanced Studies and will take place at the Institute of Advanced Studies, Ground floor, South Wing, UCL, WC1E 6BT, London. We are happy to announce that the recording of the fourth lecture in the series, Prof Richard I. Cohen’s Moses Mendelssohn – The German-Jewish Icon of Modernity (1780s-2019), is now online. To listen, please click here. Copyright © Leo Baeck Institute London. All rights reserved.